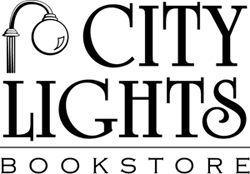 Dana Wildsmith and Susan O’Dell Underwood will visit City Lights Bookstore on Saturday, May 25th at 3 p.m. They will read from their latest collections of poetry, One Light and The Book of Awe, respectively. Dana Wildsmith is the author of a novel, Jumping, and an environmental memoir, Back to Abnormal: Surviving With An Old Farm in the New South, which was a finalist for Georgia Author of the Year. She is also the author of five collections of poetry. Wildsmith has served as Artist-in-Residence for Grand Canyon National Park and for Everglades National Park. She lives with her family on an old farm in north Georgia and works as an English literacy instructor at Lanier Technical College. Susan O’Dell Underwood is currently a Professor of English and the Director of the Creative Writing Program at Carson-Newman University. In addition to The Book of Awe she has published two chapbooks, From and Love and Other Hungers.